THE SIKH NUGGET: Rare collection of hand written manuscripts. Rare collection of hand written manuscripts. 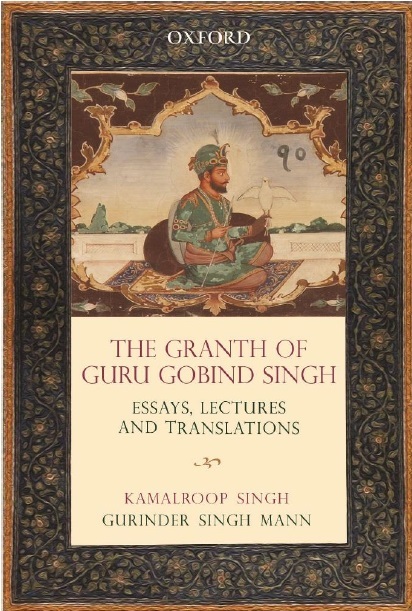 A rare collection of hand-written manuscripts of Hindu, Sikh and Muslim religion along with outstanding relics of European Renaissance, collected by a Sikh scholar in Punjab village are in state of gross neglect. A Sikh scholar Dalip Singh of remore village Mallu Nangal on Indo-Pak border in this district who owns the collection is a disappointed man. He has got a collection of various religious books hand written even from the times of 15th centuary. Shiromani Gurdwara Parbhandhak Committee, the supreme Sikh body, managing the affairs of Siklh shrines is least interested to save the collection. The collection is surviving so far due to passion in Dalip Singh to preserve the history. Rare manuscripts in the village gurdwara 9Sikh shrine) library include “ Dasam Granth”, Guru Partap-Suriya, Guru Bilas, Zafarnama Patshahi Daswin, Makkei Wali Sakhi, Bachittar Natak, Zindgi-Nama Bhai Nand Lal, an ultra small Guru Granth Sahib which has 1430 pages and can be read only with the help of a magnifying lens and many more. A beautifully calligraphic example of “Kuran Shariff’ is another old scripture is in the collection of Dalip Singh. Some of them were also written by Sikh Gurus themselves claimed Dalip Singh. Some of the manuscripts have beautiful ornamental calligraphy and extraordinary decorated in gold and blue. Recalling his old days when he was vice president of SGPC, Dalip said that he was disappointed when he had brought few rare books to the SGPC for preservation but he have received a cold response from the authorities. “That day I decided to keep the old books and rare manuscripts at the premises of my village Gurdwara at my own cost”, said Dalip Singh.
" I had to work hard to collect these manuscripts and books from various sources including deras of sants and Udasis but I am happy I have managed to save many of them, said he happily. However, with the passage of time many ancient manuscripts and rare books have become discolored and blurred. They need to be preserved and timely treatment can restore them so that they can be preserved for future generations. “It is my dream to preserve all this treasure with all modern techniques so that researchers and scholars could get benefits from my collection”, said he. Update 03/06/2010: After contacting PDL (Panjab Digital Libary) they have confirmed that " We are in touch with him (Dalip Singh Ji) since 2008 and have digitized about 60% of his collection, rest is scheduled to be digitized in winters of 2010. We are very hopeful that we will finish this project in January 2011".